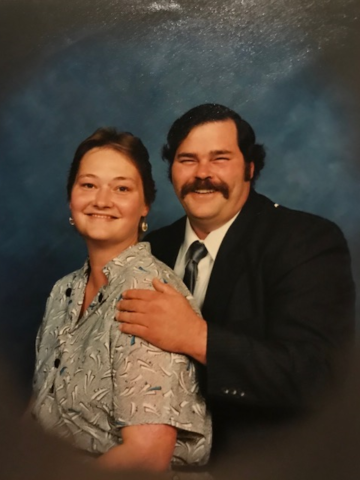 William Steve Potter, age 60, of Nashville, TN passed away on Saturday, August 18, 2018 at Creekside Nursing Facility in Madison, TN. William was born on May 1, 1958 in Nashville to the late Virgil and Gwendolyn Potter. Along with his parents, William was also preceded in death by his daughter Jennifer Potter. William is survived by his loving wife of over 40 years, Bonnie Potter. He is also survived by his son Terry Potter; mother-in-law, Willie Mae Wauford; sister-in-law, Debbie Goad; several nieces and nephews, and great nieces and great nephews. William is remembered for being an extremely kind person, he would do anything he could to help someone in need. He was a huge NASCAR fan and his favorite driver was Jimmie Johnson. William loved his dogs Dolly, Hunter, Angel, and Roro. Visitation will be held at West Harpeth Funeral Home in Nashville on Tuesday, August 21, 2018 from 5:00pm until 8:00pm. I was so sorry to hear about William. OH POOTER POTTER, WE GO SO FAR BACK, I REMEMBER YOU ALWAYS BEING THERE IN MY LIFE, SINCE GRADE SCHOOL. YOU WERE ALWAYS THE NICEST PERSON, RENEE AND TERRY I AM SORRY FOR YOUR LOSS, BUT I KNOW HE IS WITH JENNIFER NOW. PRAYERS FOR YOU ALL. SO SORRY ABOUT WILLIAM, I KNOW WE HAVEN’T SEEN EACH OTHER IN YEARS BUT REMEMBER YA’LL LIKE YESTERDAY. IF YOU NEED ANYTHING JUST REACH OUT. PRAYERS AND MUCH LOVE TO YOU ALL. I’m thinking of you in your time of sorrow. May we praise Jehovah God for the resurrection hope that He has promised. Jesus Christ assures us of this future blessing that is soon to come. John 5:28,29 May God’s promise comfort you.